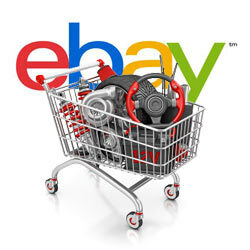 Help buyers find your eBay automotive parts and accessories listings, and sell more. The average automotive part fits 32 cars, according to eBay. For sellers, managing parts listings for all the different makes and models is challenging at best—and costly, too, considering listing fees and a higher rate of returns from buyers who purchased the wrong part. That's why in 2010, eBay introduced Parts Compatibility (also called fitment), a more efficient way to list parts that fit many vehicles. Auctiva is one of only a handful of eBay-certified providers with built-in support for eBay Parts Compatibility, and we've made it available to our Elite and Pro Plan subscribers. If you list automotive parts and accessories through Auctiva, consider upgrading your account to take advantage of this powerful listing feature. Not only will you save time creating listings and save money on listing fees, you will likely get a boost in sales—with fewer returns to boot. How does Parts Compatibility work? Auctiva's Parts Compatibility tool lets you create a single listing for an automotive part or accessory and then use eBay's catalog to associate your item with all compatible vehicles—up to 300 per listing. This makes it easier for buyers to find the item that fits their vehicle's make and model, instead of buying the incorrect one they'll just wind up returning. eBay is continually working to expand compatibility support-the addition of Boat Parts & Accessories is a recent example. Earlier this year, eBay completed the integration of WHI Solutions (acquired in 2012), which added 600,000 automotive parts and accessories to its existing catalog. Auctiva's Parts Compatibility tool is designed to automatically update with new catalog data as eBay adds support for new categories. So your Parts & Accessories listings through Auctiva will always have access to the most recent data available on eBay. Instead of stuffing your title with every vehicle model your part is compatible with—or paying extra listing fees to post multiple listings for each model—you can use those 80 title characters to include valuable keywords like the brand, MPN part number, OEM part number, part name, material and other terms buyers would search for. This can save you listing fees, and it makes the buyer's item search process simpler. They just enter the make, model and year of their vehicle, and search results only return compatible items. Within your listing, just below Item condition, buyers will also see a link to view compatibility information that is automatically generated for your listing. This will display the name of the part and compatible vehicles organized by year, make, model, even trim and engine specs, so buyers can easily tell if a part is what they need. They can also view this information by scrolling down to the description field. If you sell outside of the U.S. and Canada, compatibility data won't show on the item page or in search results, and it won't help you get visibility. So if you are using eBay's international visibility option, the compatibility feature could work against you. When you're creating an Auctiva listing for eBay Motors Parts & Accessories, the option to use Parts Compatibility will automatically appear if your selected category supports it. If you see the Parts Compatibility option, you can search eBay's catalog for your part, and automatically generate a list of compatible vehicles. If you can't find the item in eBay's catalog, you can still create your own compatibility data. Just click "Enter Compatibility Information Manually," and enter the information for each model year your item is compatible with. Then complete your listing as usual. Now your parts and accessories listings will be easier to find—and more likely to end in a successful transaction. How do I get Parts Compatibility and how much extra ? ?